The Whole Family Can Enjoy Healthy Smiles! 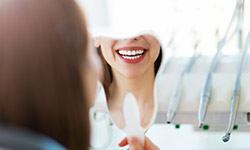 Achieving healthy, happy teeth isn’t just a one-time accomplishment, like winning a race – it requires a lifetime commitment to practicing good oral hygiene at home and visiting the dentist’s office regularly. At Kirlough Family Dentistry, our team would be thrilled to serve as you and your family’s trusted partners as everyone works towards this goal. Every stage of development, from childhood to adulthood to the elderly years, needs a unique approach to preventive care, and we have the clinical skills and experience needed to treat everyone right here in one convenient Middleburg Heights location. Contact us today to schedule an appointment! Why Choose Us for Preventive Dentistry? Every patient, young and old alike, needs to undergo professional dental checkups and cleanings at least twice each calendar year. Why? Because there are plenty of problems that can go unnoticed by untrained eyes for far too long, and our team will be able to diagnose and treat them at the earliest, most harmless stages, potentially saving your family a great deal of cost and time later down the road. 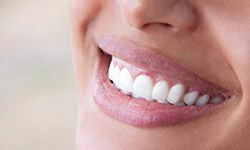 Dr. Kirlough’s approach to each examination is truly comprehensive, involving a review of each tooth surface, the gum tissue, the overall bite, the TMJ, any existing restorations like fillings and crowns, and more. A dedicated hygiene session will also remove decay-causing plaque and tartar from all areas of the mouth, resulting in a healthier, stronger smile. 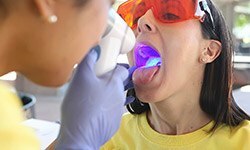 Oral cancer is a dangerous and even deadly health problem, but recovery is possible and even likely if symptoms are diagnosed early enough! That’s why early screenings are so vital, and our dental team provides them here in Middleburg Heights, OH. We will inspect the oral tissue, head, and neck for signs of abnormalities, which could include slow-healing sores, white/red discoloration, and more. If anything suspicious is discovered, a biopsy can be arranged for further testing. Do you often see a little blood in your saliva after flossing each day? Does your gum tissue seem noticeably red or swollen? These symptoms should be taken seriously because they most likely indicate the presence of gum (periodontal) disease, a dangerous infection that can eventually result in the permanent loss of healthy teeth and jawbone. At Kirlough Family Dentistry, we can provide dedicated deep cleanings to curb the development of gum disease and restore health to patients’ smiles before any serious damage is done. Your wellbeing is our top priority! The temporomandibular joints (also simply known as the TMJ) have the big responsibility of helping patients chew food properly, speak clearly, and even yawn when they’re tired. Unfortunately, chronic dysfunction and strain can strike in this area for a variety of reasons over the years, leading to TMJ disorder. Dr. Kirlough offers several therapeutic services that can bring back much-needed harmony to your smile, including occlusal (bite) adjustments and customized occlusal splints. You don’t have to live with jaw pain forever! Bruxism (more commonly known as chronic teeth grinding) affects patients of all ages, particularly those who experience a lot of daily stress. Many people don’t even realize they’re a victim of this condition because they only grind while sleeping. At Kirlough Family Dentistry, we’ll always keep an eye out for tell-tale signs of bruxism, including worn-down enamel surfaces and habitual jaw pain. 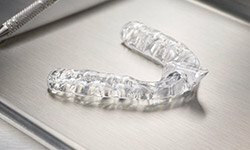 If needed, a custom-made nightguard can be created for comfortable, protective use that keeps your smile much safer.